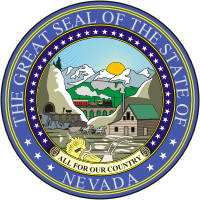 According to a recent report at the Review Journal, the state of Nevada may soon have an inter-operator poker network, increasing the online poker player pool in the state. Gaming regulators of Nevada gave tentative approval of a new interactive gaming system which would be the overall network for casinos in the state that offer online poker gaming options. The technology would be operated by 888 Holdings and would allow for sites in the state to come together on one network. This same technology could potentially be the model to begin interstate player pools with Nevada and the state of Delaware. It was just yesterday morning that the plan was proposed to the Gaming Control Board, and the plan would see 888 Holdings creating the poker network for the state. WSOP.com of Caesars Interactive Entertainment, Treasure Island online poker room (in the works) and a separate poker room for 888, which would be connected to Treasure Island, would be able to operate on the new platform. Once launched, players would be able to log on to the new system at Treasure Island or the WSOP online poker site. Multiple casinos would be able to join the network, which would create more game play at the online poker tables. The technology of the network would create an avenue for reveneus from the games to be distributed to each casino as based on the registered player joining a poker game. This news also brings to light the agreement between Nevada and Delaware for interstate gaming. The Nevada Gaming Commission is supposed to rule on the subject on the 24th of this month, which is only 2 weeks away. The news of the potential inter-operator poker network, can only help the goal of finally seeing the two states come together and share player liquidity.